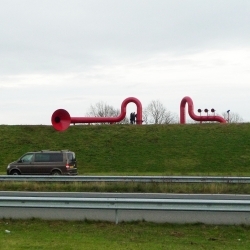 EAR, artwork on the embankment along the A50, connects the two sides of the A50, making a human connection with service area for cars, people and animals. Japanese artist and architect Yusuke Oono created this imaginative series of 360 degree books. 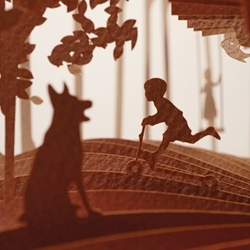 Using 40 pages, Oono assembles scenes from stories like The Jungle Book and Snow White with elaborate layers of silhouettes cut from paper. 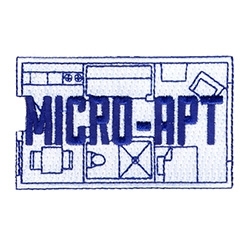 New York City Merit Badges document daily milestones in a city we love to endure. Wear them with pride, you’ve earned them. 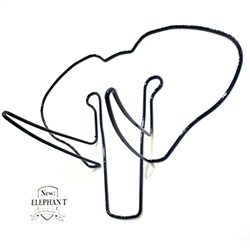 FEATUREDFun bicycle racks from Outline Works that show off your bike when holding it, and look like minimalist trophies when you're out cycling... and a peek at their new Elephant that holds two bikes! 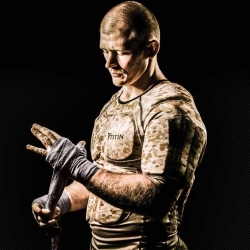 Titin Tech is a 14-pocket shirt that locks 8lbs of flexible, fit-right gel inserts onto your body. Wear it hot. Wear it cold. 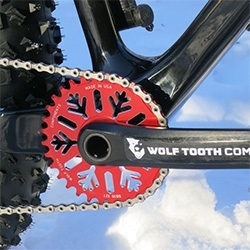 Wear it to help build explosive speed, strength & teeth gritting endurance. 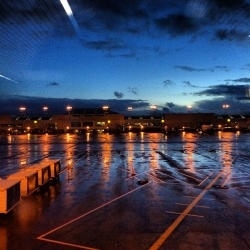 FEATUREDInspiration: Portland, OR! A peek at our adventures and some of the fun food, shops, donuts, street art, and more that inspired us! Also, what's up with #PDXcarpet? 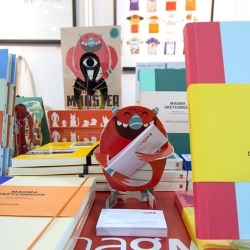 FEATUREDA gorgeous display from Makers and Merchants at Top Drawer. We love the branding and identity work from Horse and their focus on products sourced, selected, made and crafted with artisans. 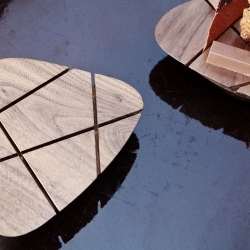 Yield gives us a peek into the making and inspiration behind their coveted Cup Set. 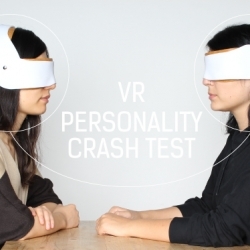 Dating Prosthesis by Jasna Dimitrovska - Design fiction for the dating prosthesis of tomorrow. A speculative glance into future of online dating. 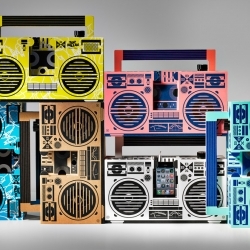 FEATUREDMore highlights from January 2014's Top Drawer, Home and Craft in London. Lots of fun displays, products, and colorful goods! 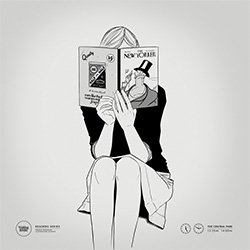 Waiting Room Series of Prints by Silence Television/Gianmarco Magnani - stunning! 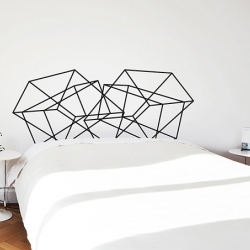 Stockholm adhesive headboard by mpgmb - Collection of 12 decals inspired by the minimalist, yet often bold and playful, signature of Scandinavian graphic design. 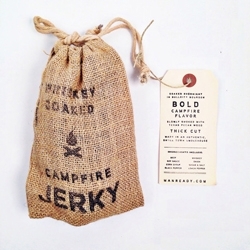 Manready Mercantile's Whiskey Soaked Campfire Jerky. 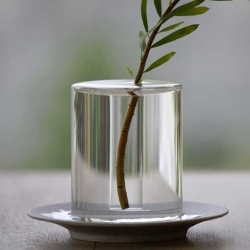 The Shallows Vase by Critiba Design+Direction gives the illusion of a flower floating in a puddle. 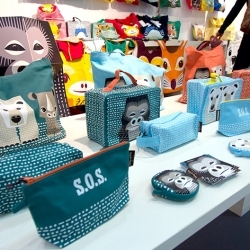 FEATUREDPaper animals and playful prints from Mibo at Top Drawer including kids range with Coq en Pâte and "Save Our Species" range for raising awareness about endangered species. 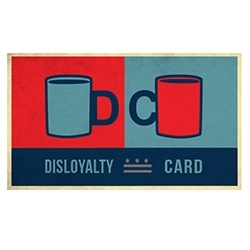 Disloyalty Card ~ independent coffee shops (aka not starbucks) have been spreading this card in certain cities. 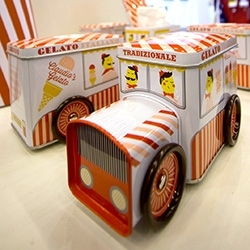 Visit the 6 coffee shops listed and get a free coffee at the one of your choice. 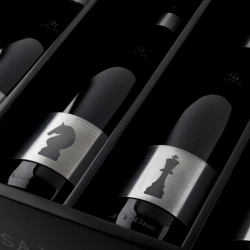 Stainless steel wine labels from Grantipo for Cuatro Almas that look beautiful and held keep the bottles at the correct temperature. 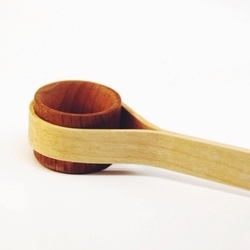 The Wokerman Sküp, gorgeous bent maple and cherry handmade coffee scoop. 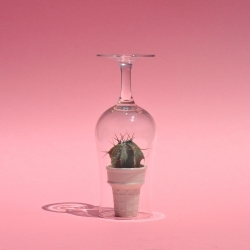 Prickly and Cream is a Sydney based ceramics Studio, where we pretend to be sweet all the time. 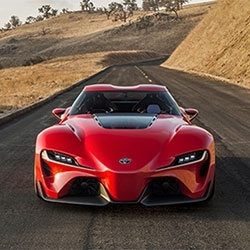 Toyota reveals the FT-1 concept car at the Detroit Auto Show. The track-focused sports car was created by CALTY Design Research in Newport, CA. 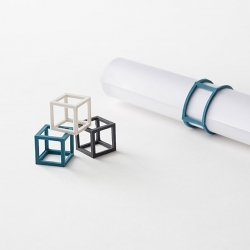 Nendo's new stationery collection for his own brand 'by |n" is minimal, practical and elegant. 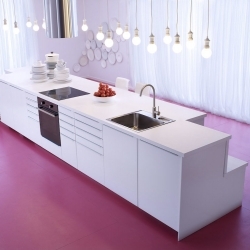 King Edison Pendant Lamp designed by Young & Battaglia. 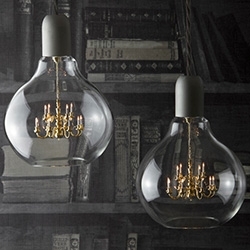 It's a mini chandelier in a light bulb! 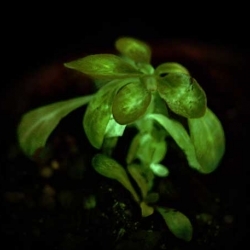 BioGlow have produced a genetically modified plant that glows in the dark. The result, Starlight Avatar, is now available by auction. 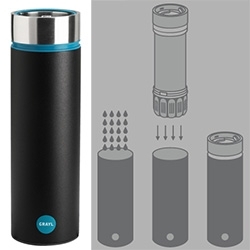 The Grayl - The water filtration cup. Simply FILL. PRESS. DRINK. Stainless steel water filter - works like a coffee press and filters germs, chemicals and heavy metals in seconds. 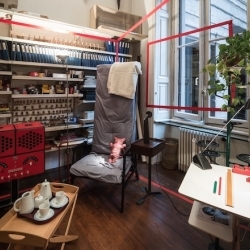 The foundation Achille Castiglioni offering the public the chance to see many of the objects he designed in a domestic setting: the beautiful and perfectly preserved apartment that used to house his studio and is today the seat of the Fondazione. 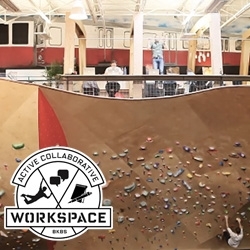 VIDEOBrooklyn Boulder's Active Collaborative Workspace (ACW) in Somerville - "Built on top of a 120 foot long and 22 foot high climbing wall in the midst of the 40,000 square foot hybrid climbing facility..."
Pais de Pandereta, a tambourine in the shape of Spain representing the popular expression 'Country of Tambourine' from the famous poem by Antonio Machado. 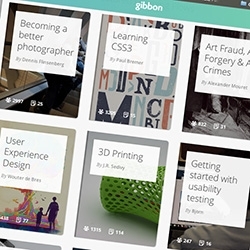 Gibbon ~ "Playlists for learning. Almost all the knowledge is available on the web, all you need is someone to guide you to it." Create and browse learning flows... Lots of design/web topics so far! 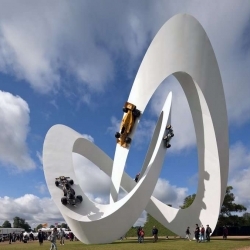 Lotus Sculpture Design by Gerry Judah. 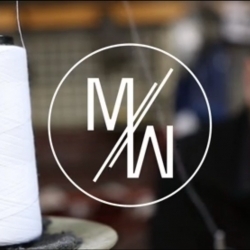 VIDEOMake Works interview ten30 design about the benefits and challenges of working with the Scottish Fashion Industry - with advice for new designers looking for factories and suppliers. 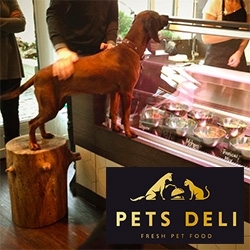 Pets Deli in Roseneck, Germany is a beautiful gourmet deli for your dogs and cats! 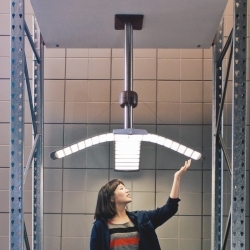 The Plus Pendant is an interactive OLED luminaire designed which flexes to change the lighting properties. Controlled via a bluetooth connected tablet app. 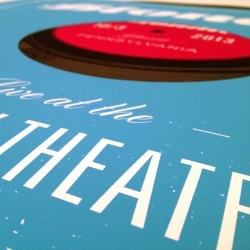 New website and limited-edition screenprinted posters by Tone Ink! 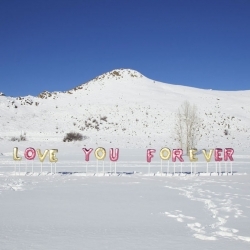 Some awesome and sincere word-art public installations by Brooklyn based Erin Rachel Hudak! 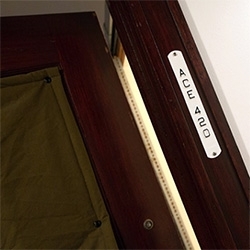 FEATUREDWhen in Portland, of course we had to check out the Ace Hotel! 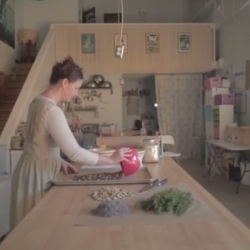 Take a peek inside room #420! Schwartz's 'The Sound of Taste'. 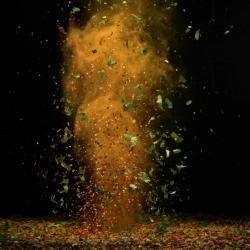 A kinetic installation featuring MJ Cole and several tons of Herbs and Spices. 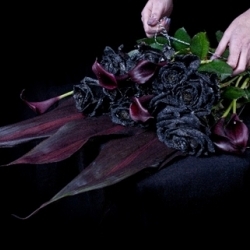 Created by Grey London. 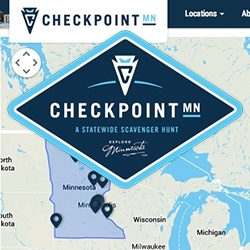 Checkpoint Minnesota ~ the US' largest statewide scavenger hunt! VIDEOHere's to the makers. 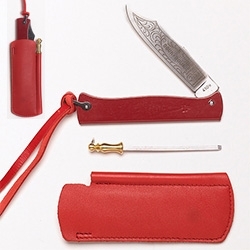 Scoutmob Shoppe connects you to the authentic, the unique and the curious. 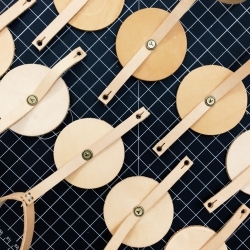 We celebrate independent makers and their inspired goods. 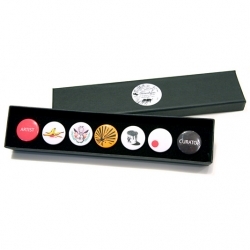 London-based graphic art label and online boutique Stereohype added new themed button badge gift boxes to their range including 'Art' containing seven hand-picked gems by Lunartik, Happypets, USOTA and Gregori Saavedra. 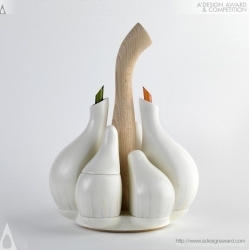 Ajorí Cruet combines fusion of warm and cool materials for a simple kitchen accessory. 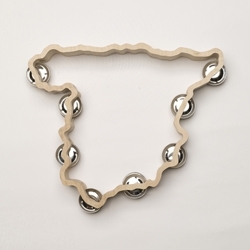 By Carlos Jimenez Perez and Pilar Balsalobre de la Hera. 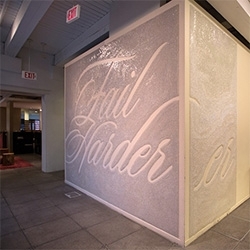 FEATUREDInside Wieden + Kennedy Portland - Since featuring it in '06, finally visited the pushpin Fail Harder piece, and roamed their 600 person HQ to share the creative energy + inspiration throughout! Too much to summarize, go see the pics. 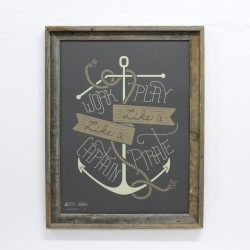 Work like a Captain, Play like a Pirate. Limited Edition 18x24" screenprint poster handprinted by Monorail Studio with 3 different color variants to choose from for those who love the sea!